There is no shortage of question topics when it comes to how Google for Jobs fits into a recruiter’s world. 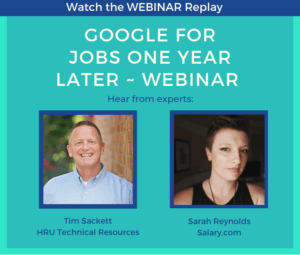 Late last year we did a joint Google for Jobs webinar with Salary.com that featured HR expert and influencer Tim Sackett, and compensation expert Sarah Reynolds. Companies of all sizes attended this webinar in an effort to gain Google for Jobs know-how. We encourage you to watch the webinar replay here — it’s chock full of actionable information to inform your job posting, recruiting, salary, and talent acquisition strategies. Many attendees had questions about Google for Jobs that we thought everyone could benefit from reading. 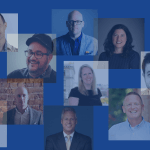 Below are the attendee’s questions answered by experts, Sarah Reynolds, VP Marketing at Salary.com, Tim Sackett, President at HRU Tech Resources, and Aaron Dun, Chief Growth Officer at Jobiak. Many thanks to Sarah, Tim, and Aaron for lending their time and expertise! Do you recommend the use of Google for Jobs for recruiting high-level positions, i.e. C Suite, Physicians? Yes, Google for Jobs (GFJ) works for every single kind of position that a candidate might search for on Google, from doctors to ditch diggers. While no one tool is a silver bullet, GFJ is just one of many places you need to make sure your jobs are showing up. Has Google for Jobs come up with a solution for remote or “traveling” jobs like technicians who are not based at a physical street address? As of now, Google still requires an actual city location to be present in each job post as they use this attribute to determine where/when to display the job. We have also seen that the value labeled for this attributed is highly sensitive and should match Google’s taxonomy for City and State listings. Our recommendation is to put a very specific logical location in the job post and add that to the JSON Schema for Google to Index. In the description itself address the roving nature of the job and detail other potential cities where this individual may travel to. Have there been any changes from Google to increase the rank of jobs listed on a company career site? It seems the partner listed jobs always rank higher. Given how new Google for Jobs is, the process of how Google decides what jobs to rank in what order is still not known. We have seen things like the precision of the city location and company name can have a big impact on ranking at this stage. While logical to assume, Google is silent about whether it prioritizes job board partners algorithmically. The Jobiak team is running hundreds of thousands of jobs through our processing engine to identify what makes a job rank higher than others, so stay tuned for more insight from Jobiak! Can we see an example of how to post a position? What is the Canadian footprint on the site? The easiest way to see how to post a job using Jobiak is to visit jobiak.ai/try-it-now. Google does provide detail on how to add the JSON Schema directly, and then connect to Google Index API here, however, you will need an experienced developer to process the code. While available in Canada, Google has not released any usage data at this time to give us a sense for the relative footprint in the geographies around the world. How do you feel Indeed’s decision to end free organic search for staffing and recruiters will impact the shift toward Google for Jobs? I think staffing firms are always out in front of trying to find ways to find candidates, and Indeed probably is just making this happen a little faster for staffing firms over corporate Talent Acquisition shops. 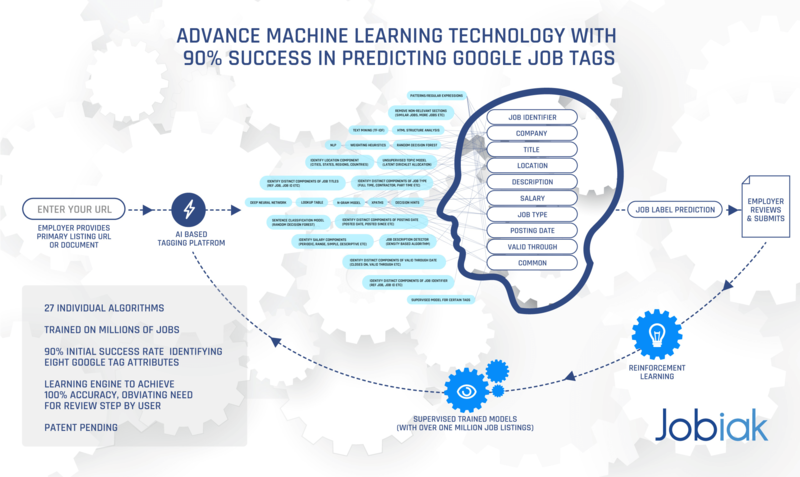 Staffing firms will figure out first how to best leverage and get their jobs out on GFJ, and will probably see more traffic faster, but it still comes down to ensuring that they are providing the data GFJ algorithms want. What are the best 3rd party job boards to get your posts to Google jobs? There are a number of reputable job boards that have a close relationship with Google including GlassDoor, ZipRecruiter and LinkedIn. Posting to these sites will ensure that your job is available on Google for Jobs, but it does mean that you are adding an extra step for your job seeker. Job seekers go from Google to the board, and then to your site to apply (assuming they do not get distracted by other opportunities on that board.) Our best advice is to ensure that traffic comes straight from Google back to your site to optimize that application flow. For a status of which ATSs integrate with Google for Jobs visit this page. I’m sure this must be the most popular question but how much does it cost to post a job on Google for Jobs? Currently, Google does not charge to post a job to Google for Jobs. There are services like Jobiak’s that will structure your jobs so they are available in Google for Jobs. Or you can use a connected job board which may have a charge associated with posting to the board, though there would not be another charge to post to Google. In addition, you can also post to Google if you have access to a developer to create the code for each job post, that, of course, may also carry an indirect cost to work with that developer. Indexing refers to the process Google uses to crawl sites around the Internet and then build their organic search results. Specifically for Google for Jobs, Indeed decided not to make their jobs available to Google so they are not indexed within Google for Jobs. However, jobs on Indeed are still available in the organic search results that now fall below the Google for Jobs search result interface. How will Google make money on this? Will they make the sorting of source links (horizontal) payable to appear first? Google has not made any public announcements regarding how they may monetize Google for Jobs in the future. It is instructive to note however that this product sits within the search team and their mission is to deliver the best possible search results, it is not a revenue-generating center on its own. How do you post with Google Jobs if you have Ultipro? Do you know if Google Jobs allows to post via the ATS? At this time it does not appear that jobs hosted in Ultipro automatically post to Google for Jobs. In order to post to Google you would have to use one of the methods outlined here: Use a 3rd party job board, use a service like Jobiak, or encode the jobs with the JSON Schema directly and then submit through the Google Index API. Is Google Base the same as Google for Jobs? Is salary data referring to a general range or a specific number? The salary data you’ll see on Google for Jobs is a range, not a specific number. Companies like Google, Glassdoor, and Indeed seem to be more invested in the candidate versus the employers who are paying for the service. We are a private employer and like to keep compensation confidential. How should someone in HR address this conversation with executives? The challenge you’re up against is that the world is changing – pay transparency has become the norm, not the exception. From a regulatory perspective, the National Labor Relations Act protects employees’ right to discuss their compensation (more info: https://www.govdocs.com/can-employees-discuss-pay-salaries/) whether you want them to or not. And even if you don’t post a salary range on your GFJ posting, your candidates (and existing employees) can find pay information online. If you’re not addressing questions that result from those quick Google searches, you’re potentially doing more harm than good to your recruiting and retention efforts. Proactive compensation communication is key to managing candidate and employee expectations around pay, especially in a world where your employees can go on PayScale, Glassdoor, Linkedin, Salary.com, wherever, and get a number to compare theirs against. If Google were to furnish salary data, would it come from users or from survey sources — or a combination? Or from other sites like Glassdoor. Just curious, as there’s so much inaccurate data which is complicating conversations about pay. I know this is hypothetical, but… it’s worth exploring. There are two things to note when thinking about the accuracy of the salary range that GFJ displays using its partner data. The first is the data source – not just the website it comes from, but where that site got their data from. Today, along with showing the employer’s salary range for the position (if provided), GFJ pulls salary data from a variety of third-party sources like Glassdoor, Linkedin, PayScale, Paysa, and others. The majority of these offer what we call employee-reported or crowd-sourced data: data collected directly from employees about how much they get paid for the jobs they do. As you can imagine, that data can vary in accuracy for a variety of reasons: employees may not differentiate between base salary and bonus, they may report data incorrectly, they may report salary information for the wrong job, etc. (Just so you know, the data that GFJ pulls from Salary.com is an exception to this – we only show HR-reported data, even on our free website. We’re passionate about data accuracy, and so we do everything we can to ensure that the data we offer is relevant, HR-sourced aggregate data that are matched to the jobs we show by our team of comp experts.) The second thing to note actually has less to do with the data source and more to do with how GFJ matches salary estimates to the job postings they’re showing. Comp pros will tell you that this matching process is the tricky part of market pricing – to get the right price for the job you’re looking at, you first have to figure out which job in the data set you’re looking at is the best match for your internal company job (or in this case the job posting). To match job postings to salary estimates, GFJ leverages the O*NET taxonomy, which is a job architecture published by the US Department of Labor that groups jobs by occupation. The challenge here is that one O*NET occupation can be composed of many individual jobs. For example, the O*NET taxonomy groups together all secretaries and administrative assistants together into one “occupation,” whereas in a traditional job architecture, like the taxonomy we use in our CompAnalyst Market Data product, there would be 10+ different jobs that could potentially fall under that umbrella. 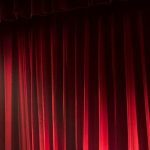 Rolling up to a single occupation dilutes the specificity of the job match since it means that all GFJ reads all administrative assistant jobs as essentially the same thing, with the same salary range – not so in many organizations. If, as an employer, the salary range you’ll be offering for a role is wildly different from what GFJ is displaying, you should get ready to explain why to candidates – it’s the next natural extension to the compensation education that many comp and HR pros have to offer to employees today when they discuss the salary data they see online. If a substantial part of the compensation package isn’t the salary but is incentive pay, how would you display this to make sure you aren’t overlooked? I’ve seen a lot of job postings note this in the job description itself, rather than trying to fit it into the employer’s salary range. If you offer uncapped commission plans or other incentive pay-heavy pay plans that differentiate your company from your competitors for talent, note this for your applicants! Should the salaries be in the job ad or in the title? It needs to be submitted as part of the Google For Jobs Schema code so it’s less important where it is in the post. If we were to go with Google for Jobs, do we “have” to provide a salary? No, it’s optional. Some have found that including salary can improve rankings however it is not a guarantee. Everyone should make their own value judgment around pay transparency as noted in this discussion. Do you have a question that wasn’t answered? Is there a topic you’d like us to cover in an upcoming webinar? Fill out our Contact Us form and we’ll be in touch!